Victoria Vox and her little four-stringed friend. And now, a little music from a former Balti-moron who enjoys both a national and international career. 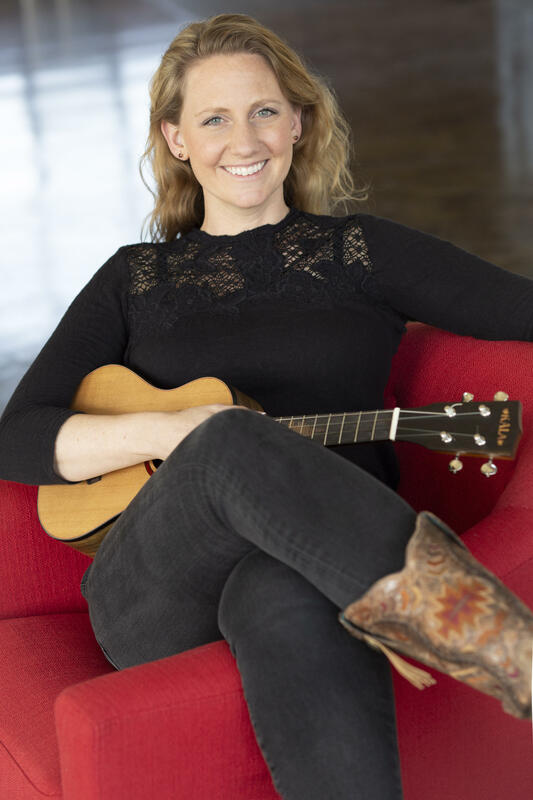 Victoria Vox is an award-winning singer/songwriter who is one of the leading artists on the ukulele scene. She’s also a fixture on the national folk music scene. She’s opened for Jackson Browne, Leo Kottke, Cheryl Wheeler and Tom Chapin, among others. She moved from Baltimore to Costa Mesa, California, a couple of years ago, and she’s back in the area doing some events this weekend. Victoria is giving a songwriting workshop at the Creative Alliance tomorrow afternoon. She’s playing in Columbia on Saturday, in Westminster on Sunday afternoon, and in Hagerstown Sunday night. Today's performance was live-streamed on WYPR's Facebook page, and you can find the video here.